However, your schematic says there should be one 24, one 24.576 and one 22.579. Indeed, one of the 24 MHz is connected to Xmos pin 13 through a resistor, which should have been 22.579, according to your schematic. We are very sorry for the trouble we have caused you and will confirm and deal with this matter in time. Add the default maximum volume output firmware. Hi all, it’s the noob writing again. I’m trying to build an controller routing 4 channels using I2S - 2 for the stereo DAC and 2 for the 8 channel external connector. 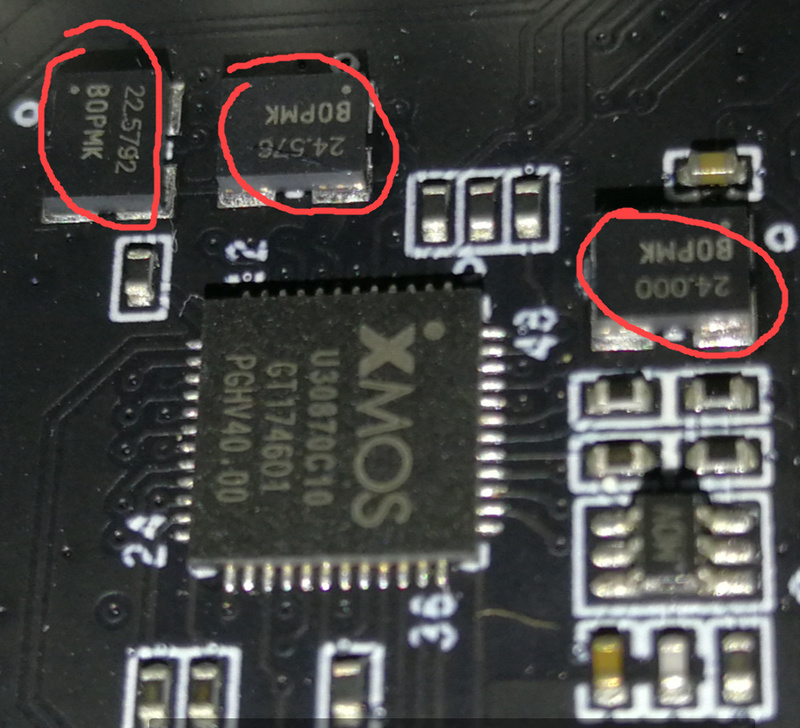 So far, I’ve extracted the original firmware via Xtag3 and (tried to) port the Xmos USB Audio 2.0 framework with limited success. If I don’t touch port 4D, the DAC doesn’t play, of course, but the I2S comes through the USB nicely. But it seems that when I try to init the DAC using port 4D, setting the reset pin low and high, I lose USB connection to the board. I see that the 8-bit RX port 8B shares pins with 4D, so I’m guessing there’s a conflict. If so, how on earth do I solve it? @Ben007 why not publish a step-by-step instruction how to upgrade the TB for hardware volume control instead of just pointing to a few downloads? Otherwise this is not going to work without someone bricking the board. why not publish a step-by-step instruction how to upgrade the TB for hardware volume control instead of just pointing to a few downloads? upgrade done from linux, but i cannot tell the difference from my android 4.4 tablet driving the toneboard! When I play the same files with “DSD over PCM”, volume also needs to be set to 100%, below that I get no sound at all (no white noise). Non-DSD files play fine when using volume control. Anyone else with these issues? Volumio states that DSD must always be played at 100%. I suppose that is another fundamental principle of DSD, like the general impossibility to modify or edit the stream…? Personally, I also used to believe that the volume is modified by the DAC after the conversion to analog and not before. It seems I was wrong? 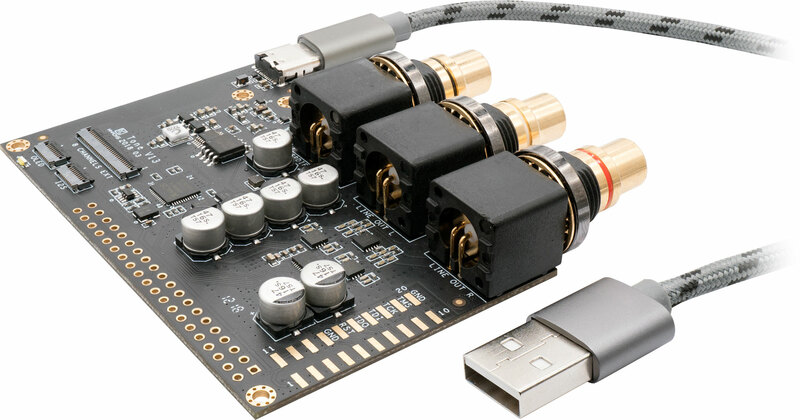 Yes, playing DSD at 100% was Volumio’s finding for an x20 based DAC (like the toneboard). They added support for volume +/- signals on the not-very-friendly extension connector. I have found some online suggestions on how to design simple circuits to convert rotary encoder impulses into +/- signals, but that needs some time and basic capabilities to implement, experiment with and tune. You can also try to control your player directly. Volumio has a simple plugin for rotary encoder connection via GPIO. I decided to buy khadas tone board. I do not know that volumio works hardware mixer. no one has tested it yet. if it does not work, I make one of these circuits to convert the pulses of the rotary encoder. 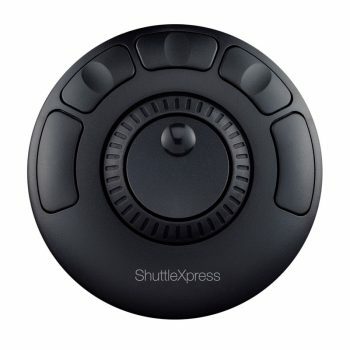 Is it possible to use an IR-led and use the remote control function in my cellphone, or some other remote control laying around the house? (I have tossed out many IR remotes for obsolete devices). This would be cheap and simple to implement, maybe on the VIM2 board? Ooops, I just saw that IR detector on the VIM and the low cost remote. Good evening. I received my new Khadas tone (generic) from audiophonics. I hooked it up on my x86 volumio machine through usb, selected hardware volume, dsd direct and connected RCA output to my power amplifier. Problem is I have no sound output at all! Only when raising near 100 there is faint sound output. When I chose a DSD 64 file I got loud white noise and my amplifier clipped (thank god both my speakers and amp have protection circuits). I tried again with no mixer (none) selected (volume constantly on 100) and through my integrated amplifier. Again low volume output barely audible when my amp pot near max and white noise on DSD playback.